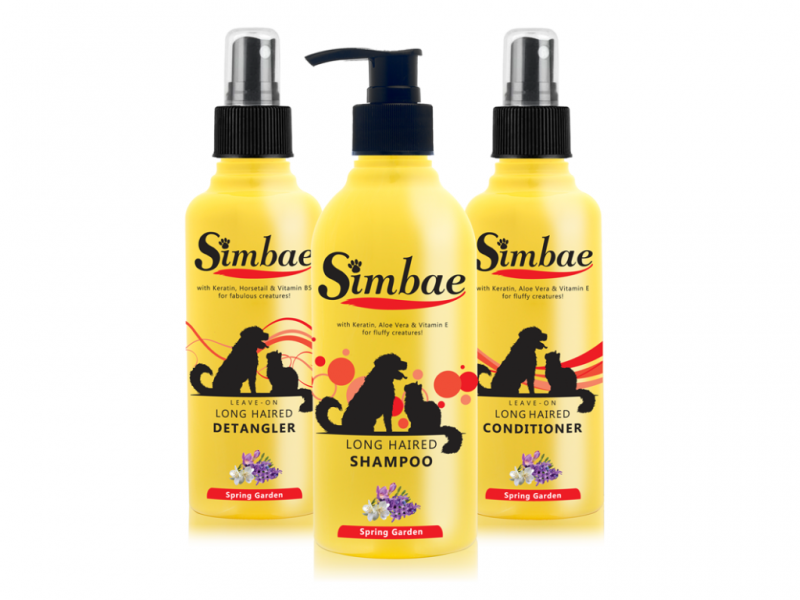 Simbae's Long Haired range is your pH balanced solution for long haired and fluffy creatures. Aloe Vera, Vitamin E, Horsetail Extract and Keratin Amino Acids strengthen the coat and increase shine, leaving the hair naturally soft and cuddly. For hairy situations, use Long Haired Conditioner to maintain smooth and fluffy fur. The Long Haired bundle consists of Long Haired Shampoo, and Long Haired Conditioner, specially designed for dogs and cats that have knots, need coat maintenance. We no longer supply the detangler in photo. Natural Keration amino acids to provide a healthy shining coat. Vitamin E for rejuvenating your pets skin and fur. Aloe Vera to protect skin and relieve itching.